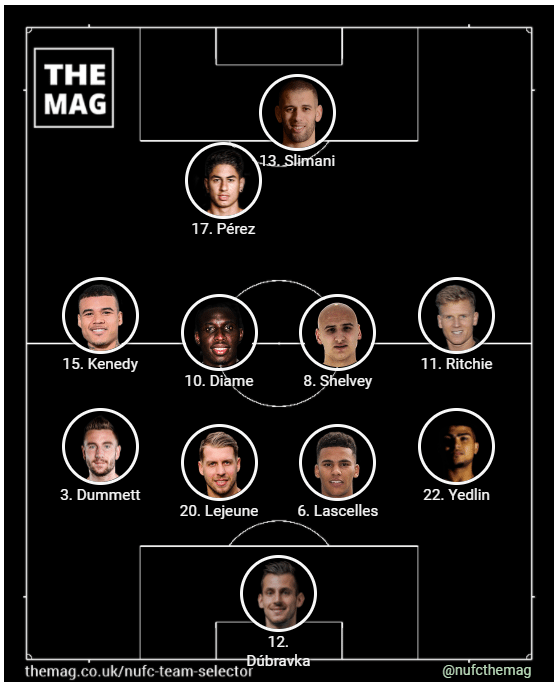 We asked fans the question, which 11 players would you pick in your Newcastle team v Everton? We put together a list of the 23 players who could potentially be selected for this 8pm Monday night kick-off. An excellent response and a very clear message from fans as to how they would see the team lining up. Rafa Benitez having made clear everybody apart from Christian Atsu (knee injury) was available. When you are going for five wins in a row, little surprise that increasingly supporters want to put their faith in those same players. An astonishing 10 selections got 92% or higher support. These are 10 players who have started all of these last four winning matches, against Arsenal, Leicester, Southampton and Huddersfield. The odd man out, for the voting Newcastle fans, is once again Dwight Gayle. Last week the fans opted for the finally available Islam Slimani ahead of Gayle, though Rafa Benitez wasn’t swayed. It is more of the same this time, 86% of fans choosing Slimani, whilst only 19% go for Gayle. If I had to guess, I think the United boss will keep faith with the same eleven, especially it being a tricky away match where Rafa will no doubt want Dwight Gayle doing a lot of selfless work/running, before potentially bringing on Slimani as the game opens up a little bit. West Brom at home next Saturday looks maybe an ideal match for the Algerian’s first start. Whatever the case, great to see so many positive well supported selections from Newcastle supporters, thanks to the job these players have done in recent times.